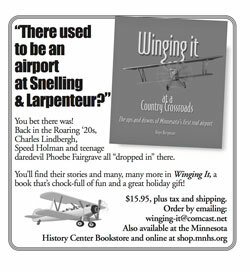 Looking for a few good books for those on your shopping list this holiday season? 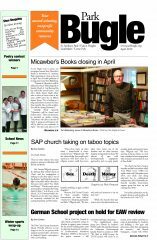 Tom Bielenberg, of Micawber’s Books at Milton Square in St. Anthony Park, has suggestions for the naughty, the nice and everyone in between. On a recent afternoon, Bielenberg drew on a lifetime of experience in the book trade as he offered his recommendations. Other hot new titles for the gift-giving season, according to Bielenberg, include former first lady Michelle Obama’s new memoir Becoming and Presidents of War by Michael Beschloss. For those beleaguered souls, Bielenberg recommends the latest in The No. 1 Ladies’ Detective Agency series by Alexander McCall Smith set in Botswana and featuring the indomitable Mma Precious Ramotswe. The Colors of All the Cattle, in which Ramotswe runs for office, has just been published. Mystery fans will be glad to hear that Tana French, Lee Child, and “the most popular mystery author at Micawber’s right now” Louise Penny all have new titles out in time for Christmas. Penny writes in English; but, in a nod to Canadian biculturalism, her books are set in Quebec with a French-speaking hero, Inspector Gamache, who may be the biggest Francophone detective since Hercule Poirot. Looking for a good cookbook? Bielenberg offers The Great Minnesota Cookie Book by Star Tribune food writers Lee Svitak Dean and Rick Nelson with “prize-winning cookies from decades of the newspaper’s Christmas Cookie Contest.” Another title to ease you into the Holiday Season is Jul: Swedish American Holiday Traditions by Patrice M. Johnson. “Smorgasbord, St. Lucia, Christmas gatherings, recipes and more,” is how Bielenberg describes it. In a very different key, there is new work by Minnesota rapper/writer Dessa. Bielenberg describes My Own Devices as an “amalgam of music, science, philosophy” that has been selling well among the millennial generation, as well as to their parents and grandparents. Even closer to home, this year Micawber’s is selling works by two former Bugle writers. The new edition of the late Roger Bergerson’s History: One Darn Thing after Another is “ready in time for Christmas with 12 new stories,” Bielenberg said. 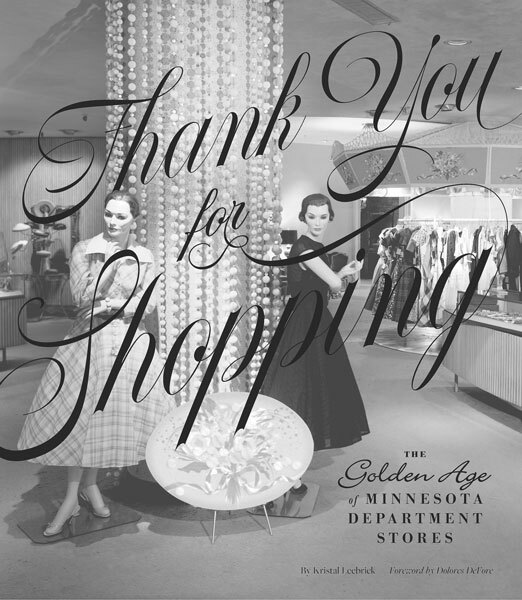 Longtime Bugle Editor Kristal Leebrick’s lavishly illustrated Thank You for Shopping: The Golden Age of Minnesota Department Stores is a tribute to the merchandising magnets that long ruled the Twin Cities retail landscapes as premier destinations for generations of Minnesotans. Bielenberg spends his professional life figuring out what other people want to read, but naturally he has some personal favorites himself. You can find all these books and more at Micawber’s in Milton Square, open (almost) every day from now until Christmas.